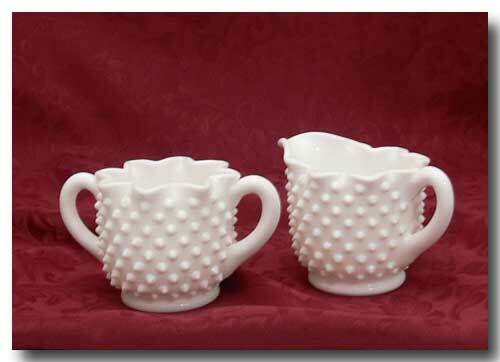 Vintage Fenton milk glass crimped star creamer & sugar bowl. Unmarked. Produced by the Fenton Art Glass Company C. 1950s. 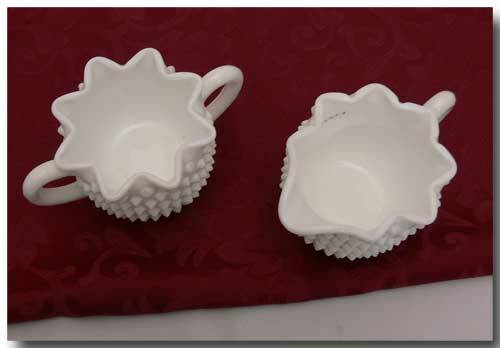 The item is in excellent condition with no chips or cracks. Size: approx. 3 inches H.